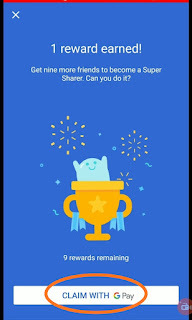 Earn 10 free Google pay scratch card with Files Go: Hey fellas. If you use a smartphone for money transfer, bill payment recharges and many more then you must have heard about Google's Tez which is now renamed as Google Pay. 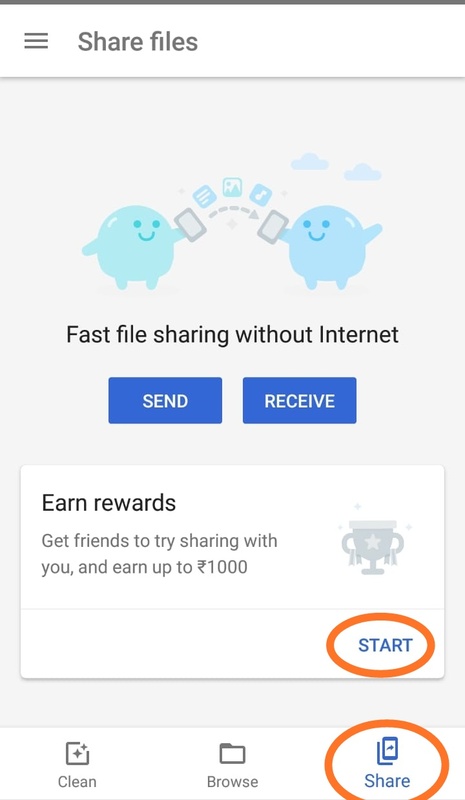 So today I am going to share a simple trick to earn up to 10 scratch card in Google Pay with a simple method. 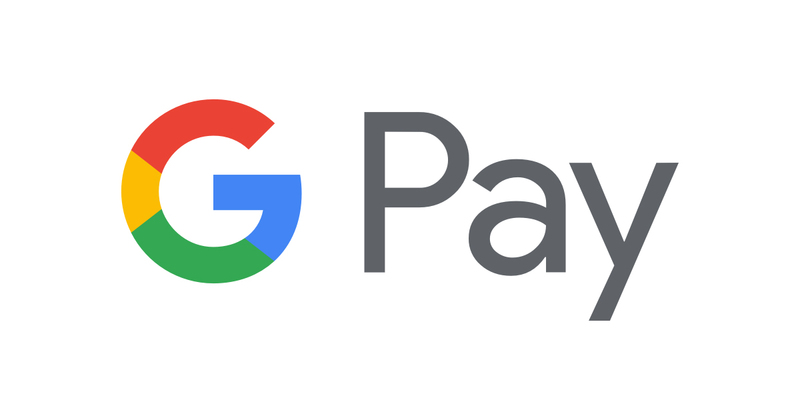 For those who don't know about Google Pay let me tell you that it is a payment app, where one can easily connect their bank account and made payment in a various area without giving extra transaction charges. And the Files Go is file management app where you can manage browse and share files with an additional clean up option. Requirement: Google Pay bank linked up an account ( Download from here ) and Google's File's Go( Download from here ). 1. After downloading the two applications open Files Go. You can find three options below, clean; browse and share. 2. Click on start and log in with your Gmail account which is registered in Google Pay. Then send or receive any file with your friends through Files Go. 3. Now claim the reward with Google Pay. You will be shown a blue colour scratch card. 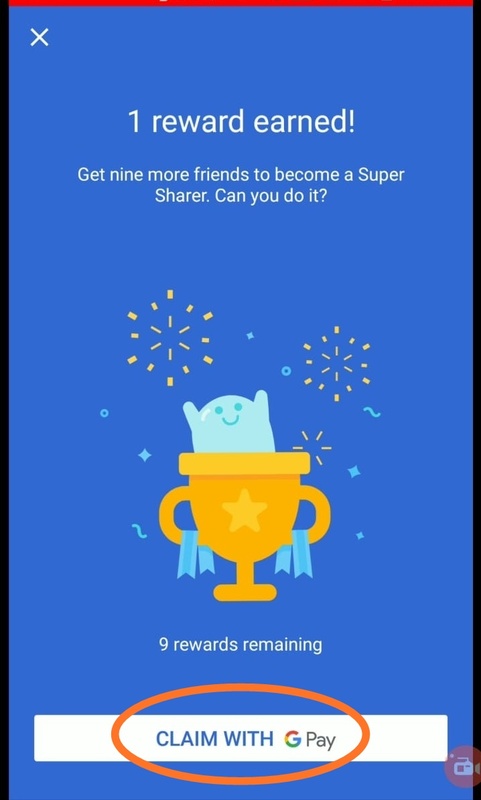 You can get up to 10 scratch card when you share a file with 10 different people. The money will be created directly to your linked bank account. So don't think so much, hurry up and grab the offer. 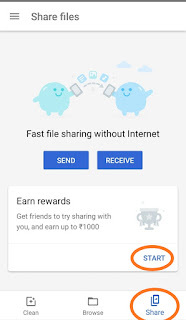 So, guys, this is all about the google pay & file go 10 scratch card offers. I hope you find this helpful to earn some free money directly to your bank account, do share with your friends and family so that they get a chance and comment your thought on the same thank you for being with us.